A comedic tale of a young woman’s relationship with a magical transforming dragon maid—now with an anime adaptation! Miss Kobayashi is your average office worker who lives a boring life alone in her small apartment—until she saves the life of a female dragon in distress. The dragon, named Tohru, has the ability to magically transform into an adorable human girl (albeit with horns and a long tail! ), who will do anything to pay off her debt of gratitude, whether Miss Kobayashi likes it or not. 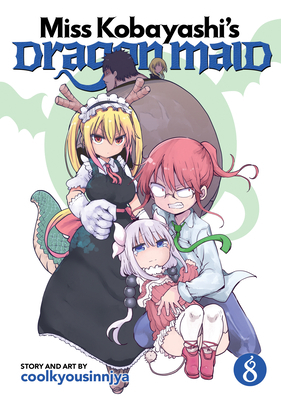 With a very persistent and amorous dragon as a roommate, nothing comes easy, and Miss Kobayashi's normal life is about to go off the deep end!